Making pizza is no longer just an indoor activity. Grill manufacturers offer a variety of pizza ovens and accessories that customers can use to make the perfect grilled pizza outdoors. 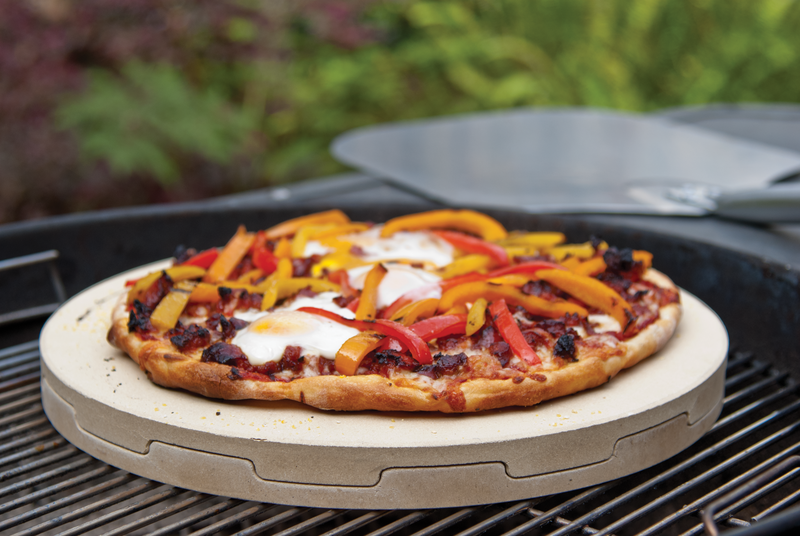 Pizza accessories are natural add-ons to grill purchases, and will keep customers returning to your store for new gadgets. From pizza cutters to stones, accessories (such as those featured here) will take the pizza party outside. 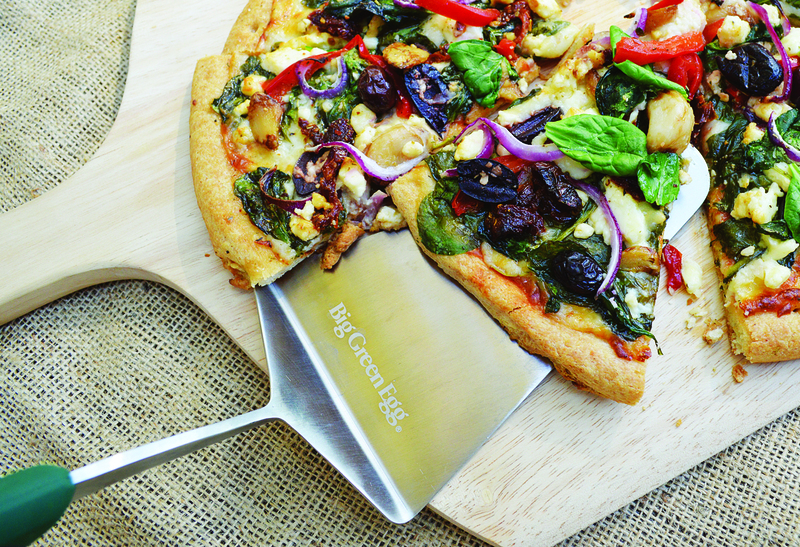 With the Big Green Egg’s exciting new line of customized pizza EGGcessories (including stones, cutters, peels, and mats) your customers can easily make their favorite pizza, flatbread, or calzone creations: Everyone chooses his or her own fresh ingredients, and the EGG® makes sure that they all turn out perfectly. The Perfect Pizza Grilling Stone from The Companion Group is the next stage in evolution for pizza stones; while solid pizza stones sometimes get hot spots and cook your pizza unevenly, the Perfect Pizza Grilling Stone’s heat-diffusion technology guarantees an evenly cooked crust every time. The stone is actually made up of two interlocking cordierite stones with a hollow core in the center. The bottom stone takes the heat from your oven or grill and transfers it to the air within the core, which then heats the top stone evenly with no hot spots. You get crispy, golden-brown crusts with no over or under-cooked areas.